SfC Publishing Co. is the Media Arm of the School for Champions educational website. We publish books, interactive CDs and audio CDs based on School for Champions concepts and material. 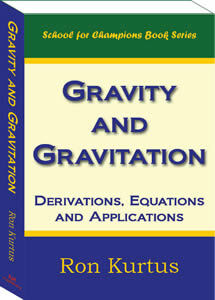 If you want to learn how to solve gravity problems for projected objects, understand the classic role of gravity, or see explanations of gravitation among astronomical bodies, this book is for you. The book explains gravity and gravitation in a way that most people can understand. It also includes mathematical derivations and gives practical examples of gravity in action. High school and college students, as well as science buffs will find Gravity and Gravitation a useful resource. Do you want to excel in school, while still having time to have fun with your friends? 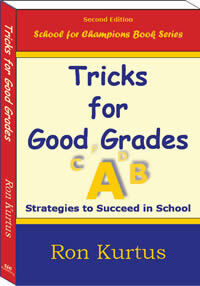 This enlightening book shows students way to study more effectively, do well in tests, and handle the various problems of school life, resulting in getting good grades. The Second Edition of this book by Ron Kurtus is available as hardcopy and e-book. The First Edition is out of print. Keep your eyes open for more information on these books. Visit the School for Champions to see our curriculum, lessons and messages.